Our drone animation for the @amsterdamdroneweek2018 is online! Curieus how drones could be part of our everyday life 10 years from now? See link in bio. Hoe bereik je als adverteerder je juiste doelgroep online? De Audience Insights tool van communicatieadviesbureau DNA helpt hierbij met behulp van slimme analyse software. Seizoen 10 van Boer zoekt Vrouw zit er alweer bijna op. Amsterdam Drone Week kicked off yesterday! Commissioned by @rai-amsterdam, Motoko created the opening animation for the event. Het is 2018 en Motoko bestaat 10 jaar. In deze 60 seconden compilatie komt een decennium werk uit onze animatiestal voorbijrazen. Check it out! Onlangs animeerden we deze musical trailer voor MILLK en de Theater Alliantie, een combinatie van live-action en (cel-) animatie. Cinetoko Fest 2018 zit er alweer op... bekijk de aftermovie! Short demo of a few rigs we built a year ago for a series of 16 animations. Here it is: The Cinetoko Fest 2018 Aftermovie! Look back at this special 10th anniversary edition of @cinetoko that we organised on June 23 in @thegreyspaceinthemiddle. The official trailer for Cinetoko Fest 2018 is finally ready! ⚡️⚡️Finally the Cinetoko Fest 2018 timetable is ready⚡️⚡️ Check out @cinetoko for more details and we hope to see you there! In two weeks we will kick-off @cinetoko Fest 2018! Tickets for Cinetoko Fest are sold online only. 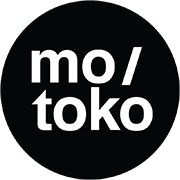 Today we celebrate 10 years of Motoko! A decade of work squeezed into 60 seconds. American Jail premiere at @de_balie ! Directed by Acadamy Award winner @rogerrosswilliams and produced by Submarine for @thewhyfoundation, Motoko designed this poster and motion graphics for this staggering documentary about racism and greed in America’s current prison system. Combining animation with live-action was painstakingly fun! Save the date! Cinetoko Fest 2018 will happen on June 23 in the center of The Hague.